My family and a friend went to visit the Center for Animal Research & Education (CARE) on May 10. It’s always good to see how the cats are doing. There have been a few changes at CARE. For one thing, the Lemur Encounter is no longer available to the public. That’s kind of sad because lemurs are really cool. But — government regulations are now forbidding this, so CARE’s hands are sort of tied. CARE is also building a new Visitor’s Center, which is desperately needed. They could use any little bit of money they can get, so if you want to donate check out their website at http://www.carerescuetexas.com. Another new thing at CARE is Dahlia, or “Dahli.” She’s the newest member of CARE’s animal family. 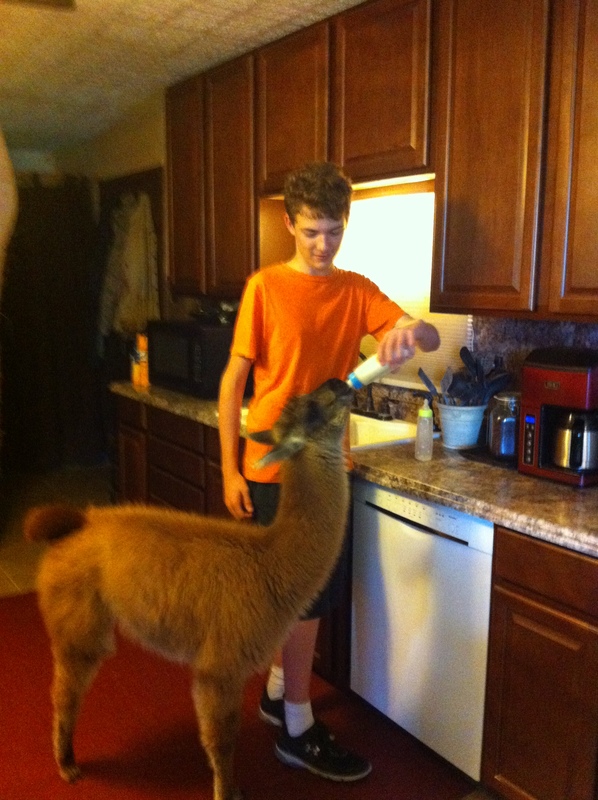 You can’t tell from the photo I attached but Dahli is a three-legged llama. She had to have her rear left leg amputated because it got crushed. CARE took care of her and now she gets around pretty fast — even on just three legs. And SOFT. I was lucky enough to spend a little time with Dahli and I got hooked! If you have not been to CARE, it’s a great summer weekend adventure. It’s all outside, though so I would go right at opening and before the weather gets too hot. They are generally open on Saturdays and Sundays from 11 a.m. to 5 p.m. The minimum donation suggested for CARE tours is $15 per adult and/or $10 per child. Donations can be made at CARE on the day of the tour. Currently they can only accept cash at the facility. All donations are tax-deductible. Kids 7 years or younger are typically not allowed into CARE. That’s because they are a perfect lunch-size morsel for the big cats. Although it’s a real safe place, seeing kids that size gets some of the cats pretty riled up, and this is a retirement home for them. Don’t want to upset the big cats — we want them to enjoy their retirement as stress free as possible. Wear comfortable walking shoes and check the weather before visiting the facility. Although it is a future plan of ours, we currently do not have paved walkways, so please keep that in mind as well on wet days. Cameras are welcome! Bring water in the hot summer months!